As we get older, we begin to realize that our loved ones are aging, too. We worry about our parents and grandparents and their ability to get in touch with us for help. One barrier for them, and eventually all of us, is working with technology and the speed with which it changes. Phones are subject to the fastest change. Many seniors have become accustomed to using the same types of phones they are familiar with. Age, however, can diminish eyesight, making dialing phones a great deal harder. I used to worry about my mother (God rest) and insisted she get a phone with large buttons. After fussing and fighting about it, she finally relented and was glad she did. I'm hoping that this lens can help others find a phone to assist the seniors in their lives find a better lifeline to their friends and families. Corded phones have been a part of communication longer than mobile phones. I remember using them in my house growing up. Yes, I'm that old. They offer the familiarity that many seniors expect. 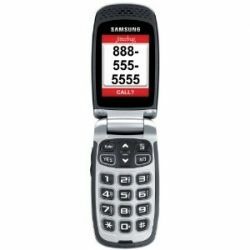 With large numbers and a screen to verify which number has been dialed, these phones are a good choice for the elderly who need the comfort of a design they are used to . It is also a plus that these phones are still able to be dialed in the event of a power failure. This can be a great safety measure for those who need to contact family or emergency services in these situations. Another benefit is that the majority of these telephones can have the volume adjusted for the hard of hearing. This phone's display can adjust the angle for easier viewing. The volume on the speaker can be changed for those with hearing difficulty. I like the fact that this phone stores the last 60 numbers that have been received. It can also store up to 10 phone numbers, which is a help for those with failing memories. This phone also has the tilting display and is capable of storing up to 25 phone numbers. Another great feature is the fact that it is hearing aid compatible, which is why my father-in-law uses this model. 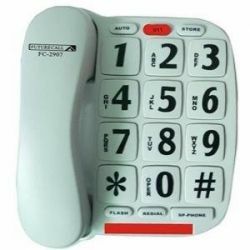 Another hearing aid compatible phone, this one also has 3 buttons for emergency. It does, however, lack the great display feature. Cordless phones are used in nearly every home in this country. Senior homes are no exception. Many like the freedom to move around the house without, as Ellen DeGeneres said, "being tethered to the mother unit." Newer models have so many buttons that it's getting harder to focus just on the numbers. The models listed below are some good options for those who need the larger buttons. 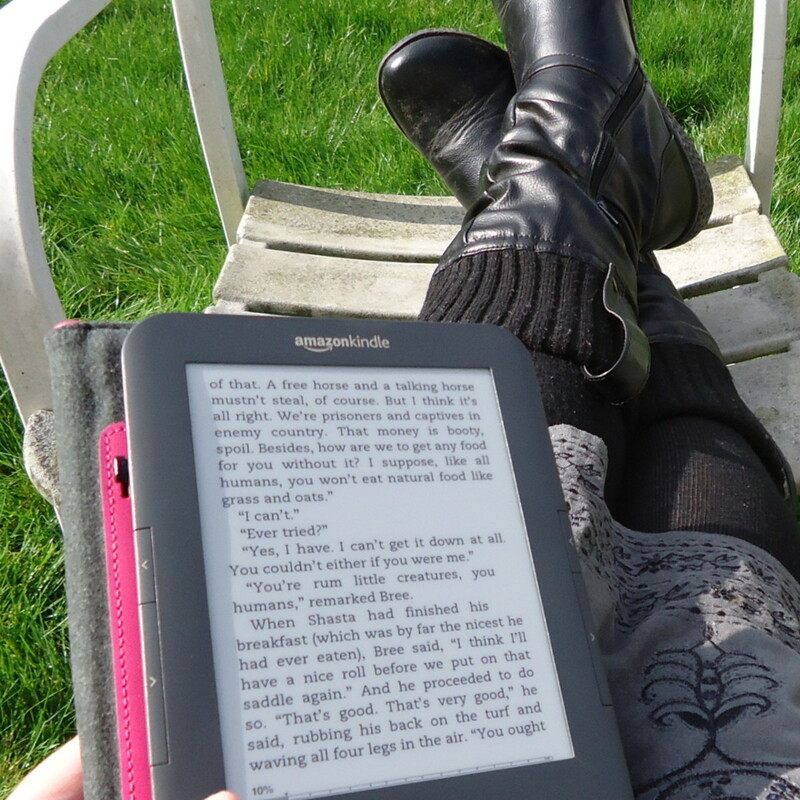 This phone has a powerful range and can be used throughout the house and outdoors. It comes with two handsets so one can always be charging. It also has a feature that can let seniors block certain numbers, such as telemarketers. 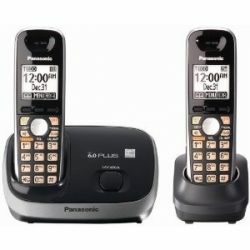 Basically the same cordless phones as above, but also includes an answering system. The hearing aid compatibility feature (for some reason one of my favorites) is available on this phone. It has a clip so it can be carried around and at a hand's reach. 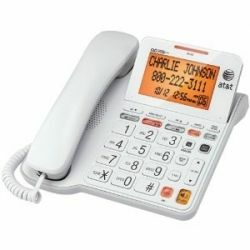 The caller ID also has a speech mode to help those who have trouble reading the display. The overwhelming movement in the cell phone industry cell phone is smaller. As phones become smaller, the keys get tinier and cell phone use becomes difficult, especially for the elderly. Telephone companies have been abandoning large button cell phones, making access to a cell phone much more difficult for many senior citizens. Most often, cell phones are used by the elderly as an emergency line when they are out running errands or the power goes out. It is a disconcerting feeling to find yourself without a way of communicating when you need help. Being able to contact a family member or neighbor can be a comfort to seniors when left alone. Knowing that your loved one has a means to get in touch with you can also put your mind at ease, as well. Jitterbug Cell Phones are one of the most popular choices for big button cell phones. The large buttons Jitterbug Plus are one of its most distinctive and useful features, making them an easy to use phone for seniors. The keyboard is large and clearly visible, allowing for effortless dialing. 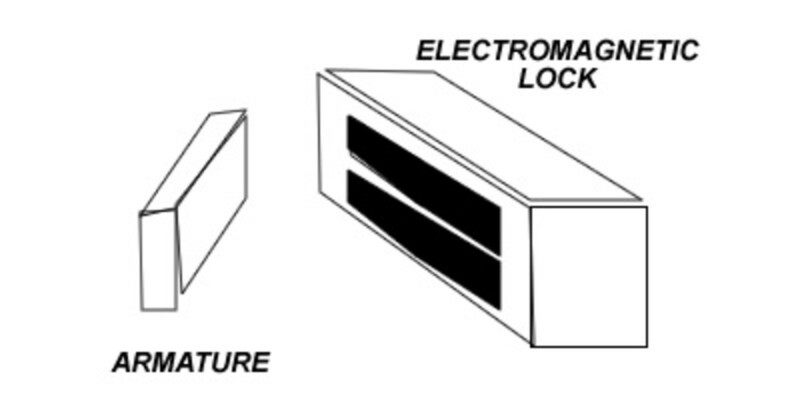 The key labeling is clear and uncluttered, which eliminates any confusion or error keystrokes. Would You Feel More Comfortable If the Senior In Your Life Had a Large Button Phone? @TheRatRaceRebel1: Glad you liked them. I'm hitting the age when I'm starting to squint. To heck with seniors LOL Anyone with weak eye sight could use these! What a blessing to be able to find the buttons without squinting or dashing off to find your glasses. @Blkeeslar: Thanks for your comment. Hopefully, you won't need a phone like this too soon. Most of the wrong numbers I get on my cell phone are seniors and they readily admit they have trouble with the buttons. I'll get one as soon as I need it. @smoothielover lm: My mom dialed wrong once on her old phone and somehow ended up dialing the White House! I'm not even sure how that combination came together. Like the look of the one which also has the large LCD display for confirmation - the number of times my dad tells me that he was getting worried because he had called twice already and I hadn't answered! I was here - dialled wrong number dad!